That's all I seem to be doing at the moment but I have to say I am still quite enjoying making them. I think it helps that the response to them has been so fantastic. 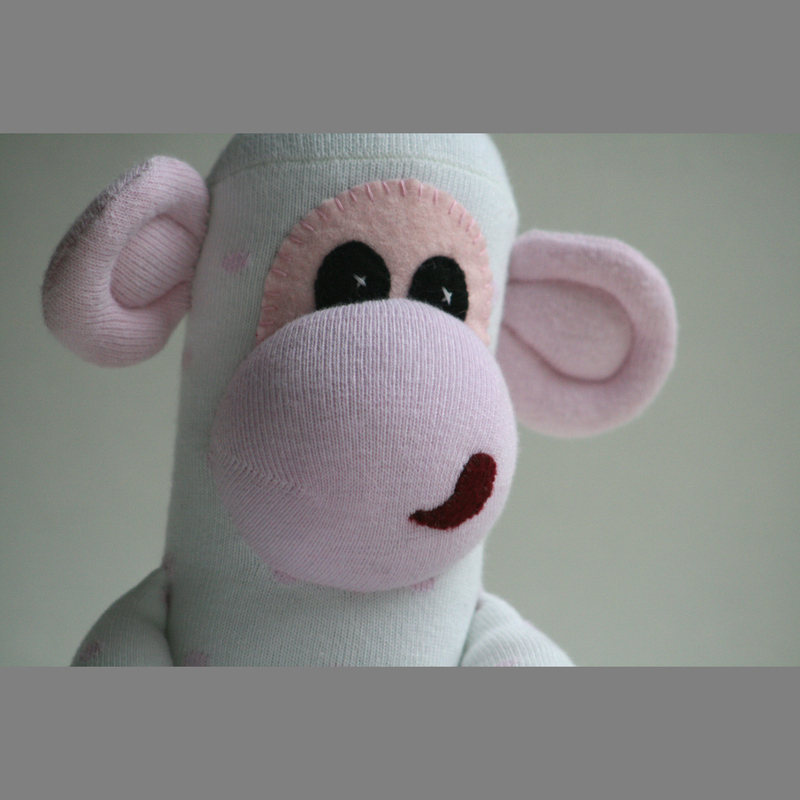 But my obsession with socks is is making my life as a blogger a little dull – how many more photos can I post of sock monkeys… bring on the quilts I say! Jules is currently in between homes as she awaits the arrival of a new baby. We miss you Jules! 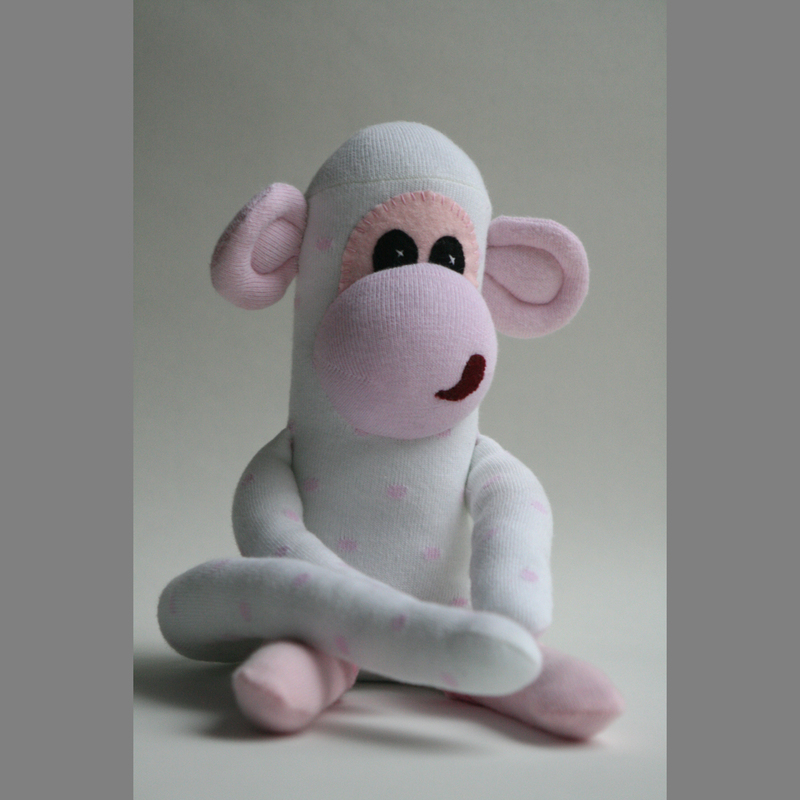 …and Loretta, oh Loretta, she is at this moment in transit to her new home. Tink and I were very sad to see Loretta go… it was quite a moment when I sealed up the package! So tomorrow… hmmm what will that day hold for me? Think it's time I made some more boys!!! Oh and I need to point out that my logo re-design was done by my very gorgeous and talented husband (he made me artwork it though) – the first time he ever looks at my blog and he takes umbrage to the fact that I hadn't credited him – I will forgive him because I love him like crazy. Anyway I still have to design the banner so it's not quite ready to appear on my blog heading. Soon, very soon. Thanks for looking, you can always leave a comment if you stop by. 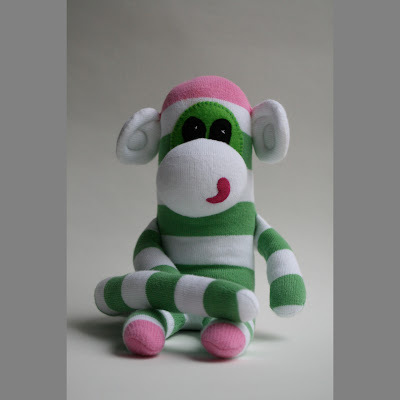 Oh, and have a look at my new updated photos on my sock monkey page – all are for sale but some are yet to be listed. Oh I do wish you hadn't of shown me that… you know I'm going to have to make them now, they're far too cute not too! One each for the kids for christmas! I'm thinking about making a lion too if I can, I found some fab wool hiding in my stash and it looks like it could be very mane like! Have to find an old sock to try it on first though, and not quite sure how I'm going to do it yet but we'll see.